Pivnica Zirafa 23 (Pub Giraffe 23 ) is nicely decorated place with a modern interior and specific lighting that is certainly will tickle everyone’s imagination. The real hedonists are happy to spend time in this pub because the atmosphere is really relaxed. At any time of day or night, this is a true oasis for lovers of the unique enjoyment. Giraffe Restaurant 23 also has a spacious bar. Capacity Restaurants Giraffe 23 is 130 people, and the mood is always at the top level. The service is impeccable, and meets the highest international standards, which is the result of great and professional stuff. Pub 23 Giraffe is the ideal place where you can drink your first morning cup of coffee or drop by to talk in a pleasant atmosphere with your friends and loved ones. Pub also offer a wide range of beers for all true fans of this beautiful beverage. Here, you can try the beer leading international and domestic manufacturers: Amstel, Budweiser, Carlsberg, Grimbergen, Heineken, Jelen, APA Cabinet, Cabinet Blue, Kozel, Leo, Nikšićko, Paulaner, Pilsner, Staropramen, Stella Artois, Zaječarsko. If you get hungry from all the beer, you need to try dishes that will delight you at the first bite. White sausage, smoked brisket, sausage and cheese, spicy sausage, ribs “Giraffe”, Souvlaki,and many more. Pub Giraffe 23 special attention is paid to the selected music of high quality. The music that dominates the pub Giraffe 23 genre is focused on pop and rock genre, but there are a lot of variations and people of various profiles can find here what they like. 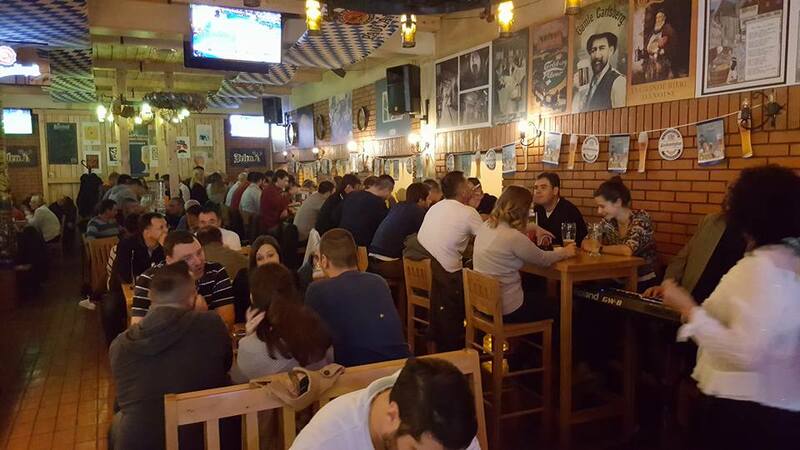 Check the full list of pubs and bars in Belgrade.